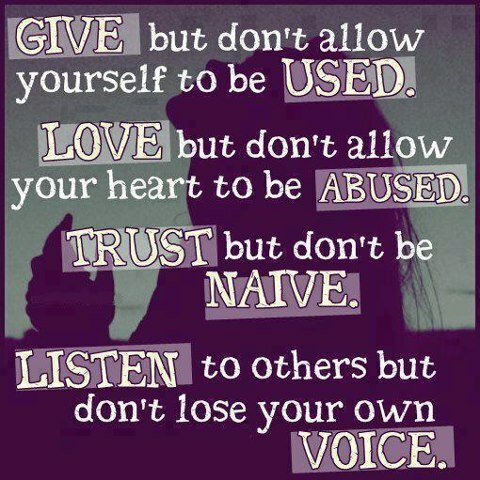 Give but don’t allow yourself to be used. Love but don’t allow your heart to be abused. Trust but don’t be naive. Listen to others but don’t lose your own voice.